All, following the Sports Coalitions‘ concern around the publishing of names and addresses of those who submitted submissions, the clerk to the Firearms Committee has given written guidance as to the format our submissions need to take. Please read this carefully, as this will help us ensure as many submissions are accepted as possible. I welcome the Minister of State, but I am disappointed that the Minister for Justice and Equality, Deputy Fitzgerald, is not present to take this particular motion on the Adjournment. Earlier today many Members of both Houses visited a lobby organised by the sports coalition in Buswell’s Hotel, across the road from the House. 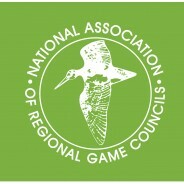 In the course of the presentations made by various individuals, led by the very able CEO of the National Association of Regional Game Councils, Des Crofton, it became apparent that this is a serious issue. The wording of the motion is slightly incorrect in that “Garda inspectors” should actually read “Garda superintendents” and the reference to section F of the Garda Commissioner’s guidelines should actually refer to annex F of the Garda Commissioner’s guidelines. These are my errors, not those of the Seanad office. I also wish to declare an interest in that I am a nominee of the National Association of Regional Game Councils, so I have more than a passing interest in their activities. I and other colleagues at this meeting listened to words like “offensive to sports enthusiasts across the country”, to “lack of confidence in the Garda Síochána”, and “using the argument of defending the country against criminal elements”, which made that comment even more deeply offensive to sports enthusiasts. Anybody would have to respond to it and find out exactly what is going on. At the core of this is a strong sentiment among the sports coalition that the Garda is out to get it. It has no confidence in the Garda because of ongoing and recurrent court cases and appeals against gun licence applications through the years, which are still before the High Court, and because the Garda itself has initiated this review of the firearms Acts, with the acquiescence of a pliant Department of Justice and Equality, to target sports enthusiasts by using the cover of criminal elements. It referred, for example, to the 1,000 plus guns that have been recovered by the Garda Síochána, implying that these had come from the sports community when in fact it was pointed out to us that most of these guns had been stolen from gun dealers and in other cases they were discarded guns, and also that every licensed gun owner in this country is legally obliged to report stolen guns anyway. The point was also made that the Criminal Justice Act 2006 covered many of the instances that are now being raised again by the Garda in terms of protection of the general public and laid out the criteria which must be complied with by licensed gun owners, which gun owners are doing and have been doing at considerable cost to themselves. The most insidious part of this has been the allegation that Garda superintendents in some parts of the country are denying licence applications under annex F of the Garda Commissioner’s guidelines. This means, in effect, that they have evidence – and they have named the individuals concerned in correspondence to the Minister for Justice and Equality – that applications for 0.22 small-bore gun licences have been turned down by Garda superintendents in certain parts of the country, using the excuse that a change in the law is imminent when there is no evidence to indicate that this is the case. The review has not even got to that point. The line I emphasise strongly is that despite continuous engagement between Mr. Des Crofton, representing the sports coalition, and the Department of Justice and Equality, until very recently the latter was paying lip service to the concept of consultation. It has now agreed that there will be further consultation but this must be real and not just submissions. It must be face-to-face meetings across the table with the people who are most relevant in the argument and who will be impacted to a larger extent than the general public if the review recommendations are to be implemented. The bottom line is that there is no need for the review to take place in the context of attempting to protect the general community from criminal elements. It is a spurious argument and the sports coalition, if given the opportunity to have face-to-face engagement with the Minister, would be more than happy to point out the reasons that is. It is being used by gardaí who the sports coalition believes are trying to get their own back on sports enthusiasts across the country for taking the Garda Síochána to court in various instances. The Garda continues to have to face court action over gardaí going into the witness box to give evidence that, within the context of Seanad privilege, I note is questionable. On behalf of the Minister for Justice and Equality, who sends her apologies, I thank Senator Paschal Mooney for raising the issue today. As he may be aware, in light of public safety concerns highlighted by An Garda Síochána and difficulties in the interpretation of the legislation expressed by members of the Judiciary, a joint working group of the Department of Justice and Equality and the Garda was established to review the firearms licensing process. I appreciate that states the obvious, but it is important to record it in the House. The report of the working group was published on 13 November and submissions on the report have been sought from stakeholders and the public. The deadline for the receipt of submissions is 31 January 2015. The consultation process provides individuals and groups with the opportunity to contribute to the development of firearms policy and legislation and will enable consideration to be given to the future direction of such legislation. The Minister, Deputy Fitzgerald, has already given a commitment not to make any decision until she has had the opportunity to consider all the submissions which are made and met the key stakeholders, including the organisations who represent those who use firearms for sporting purposes. The Minister urges all concerned to engage with this process so that their views can be considered before final decisions are made in relation to this matter. In so far as the issue of the Garda Commissioner’s guidelines is concerned, I understand the Senator is referring to annex F of same on the practical application and operation of the Firearms Acts. The Garda Commissioner has made a decision with ministerial consent to issue new Garda guidelines on the Firearms Acts which exclude the former annex F. The interpretation of the previous annex F had caused difficulties and confusion in regard to applications for firearm certificates for .22 calibre handguns and has resulted in more than 30 judicial review applications to date. The Senator has made reference to this state of affairs. There have been no changes to either primary or secondary legislation as a result of amending the guidelines. Deciding officers in An Garda Síochána have been formally notified this month that all applications for licences for non-restricted handguns shall be considered under the current legislation which is SI 21 of 2008, as amended by SI 337 of 2009. Interest groups, including representatives of the sports coalition, were notified earlier this month of both the new Garda guidelines without annex F and the current position that, in effect, a negative decision for a licence for .22 calibre handgun is a refusal of the application which allows for an appeal of that decision to the District Court. To summarise a key point on behalf of the Minister, I note that no decision will be made on the matter until such time as she has had an opportunity to consider the submissions and has met the key stakeholders. I thank the Minister of State who is representing the Minister for Justice and Equality and acknowledge that this is not an area within his brief. Having said that, I am reassured to some extent that at least it is on the record now that the Minister will meet the key stakeholders, including the organisations I mentioned, which is a significant step forward. Correspondence with the Minister as recently as August was not replied to other than by way of an acknowledgement of receipt. It was not until phone calls were made in the last week to ten days that the Minister has conceded on this point. At least it has now been put on the record. My understanding is that the deletion of annex F means the entire guidelines are not being activated, which could have a serious impact in terms of firearms activity. The formal notification of An Garda Síochána this month that all applications shall be considered under the current legislation is a vital and important step forward given the allegations I raised in my earlier submission whereby they were being turned down on the basis that legislation was imminent. That was plainly an untruth. The Minister of State made the point that negative decisions on a licence application constitute a refusal which may be appealed to the District Court. It will be interesting to see the reasons for refusals of handgun licences. We are talking here about sporting enthusiasts not criminal elements and that is the difficulty the sporting organisations are feeling and why they consider certain terminology offensive. They are the most compliant people in our society and they are acutely aware of their responsibilities given that they have to handle a wide variety of potentially lethal weapons. 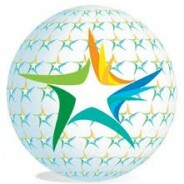 The suggestion that the review is being introduced on foot of criminal reasons is considered by the sporting organisations as an attack on them. I hope the Minister will have the opportunity to dissuade them from that point of view when she meets them. I concur with the points being made by the Senator. I represent an urban-rural constituency and have held a shotgun in my time for the same purposes as many people who live in rural Ireland in respect of countryside pursuits. While I concur with the view that the perception within the lobby that there has been a heavy-handed approach must be addressed, I take in good faith the words of the Minister when she says she will sit down with the stakeholders. It is something everyone on the Government side of the House has advocated. In fairness, the Senator has mentioned Mr. Des Crofton. Mr. Crofton’s organisation is prodigious and consists of upstanding citizens. I know these people myself and have engaged and interacted with them. The Senator mentioned the 2006 Act and if one looks at the way in which Mr. Crofton and company have interacted with the 2009 Act, there is no doubt but that they have acted absolutely in good faith and continue to do so. It is in all of our interests to chart a course that ensures there is a successful outcome and that we recognise the value of these lobbies within Irish society. Our joint efforts are paying off – keep up the pressure on the Government by collecting petitions & continuing to complete and send submissions to both the Department and also the Oireachtas. There has been some confusion on the dates for submissions to be sent regarding the proposed changes to firearms legislation. There are 2 separate submissions. The first is the original request from the Department, and is closing on 31th Jan 2015. Secondly, David Staunton TD & chairman of the Justice committee has also asked all interested parties to provide a submission to the Justice Committee within the Oireachtas on this subject. It is important that we send submissions to both the Justice Department, and the Justice Committee. We would encourage everyone to complete their submissions as soon as possible – please don’t wait for the last minute. Hope this clears up the dates and requests for everyone. Limerick Regional Game Council held a meeting at the South Court Hotel in Limerick on 8/12/2014. Chairing the meeting, Mr Tom O’Donnell, Chairman of the Limerick RGC introduced Des Crofton, Director of the NARGC, and spokesperson for the Sports Coalition. Des provided an overview of the issues outlined in the upcoming proposed legislation, to the RGC members, not just from the Limerick region, but also those who traveled from Clare, Kerry and Tipperary to attend the meeting. A wide number of questions on the matter were raised by the members, on many different aspects of the issues to which Des provided answers and guidance upon. (L-R) Niall Collins TD, John Donnelly Hon Secretary Limerick RGC, Des Crofton Director NARGC & Dan Neville TD at the Limerick RGC meeting to discuss the proposed firearms legislation. A number of members of the Sports Coalition met with David Stanton, Chair of the Oireachtas Justice Committee on 1st December 2014, and discussed the issues of the proposed firearms legislation. At this meeting he stated that: “I am interested in doing all I can to ensure that issues discussed today are resolved.” He also issued a press statement, and asked us to provide feedback to firearmsreview@oireachtas.ie. The press statement is below. Please spread the word. It is essential that your submissions be sent to the Justice Committee. Please ensure all submissions to be cordial etc but firm. See below for details of email address. If you have already made a submission to the DOJ, simply send it to the below address as well. IT IS CRUCIAL WE GET AS MANY SUBMISSIONS TO JUSTICE REVIEW BOARD AS POSSIBLE! Fine Gael TD for Cork East and Chair of the Oireachtas Justice Committee, David Stanton TD has welcomed the extension of the public consultation process for the review of firearms licensing. The Minister for Justice and Equality, Frances Fitzgerald TD has extended the deadline for submissions on firearms licensing following an appeal made by Deputy Stanton. “Minister Fitzgerald published a review conducted by a working group of An Garda Síochána & the Department of Justice and Equality on firearms licensing on the 13th November. At that time she invited submissions from interested parties on the development of firearms policy and legislation to be made by early December. “I was concerned that the timeframe for public consultation was too short so as Chair of the Justice Committee, I sought an extension to the deadline from Minister Fitzgerald. I am pleased that she has accepted the need to allow more time and the new deadline is now the 31st January 2015. “In addition to the extension of the deadline, the Justice Committee is also now seeking written submissions from interested groups and individuals on the report. The Committee will consider these submissions and plans to invite a number of contributors to public hearings. We understand that there are differing perspectives on the holding of firearms and firearm licensing, and it is important that current licence holders, shooting clubs and members of the public are given a forum to articulate their views. We are looking forward to hearing from and engaging with the public on this issue. “The review includes a number of recommendations such as changes to the list of offences which prohibit convicted persons from obtaining a firearms licence and possible restrictions on the licensing of handguns and semi-automatic shotguns and rifles. No decisions have been taken yet and I am anxious that none be made until a full consultation and discussion about the issues takes place.